Last week was a bit of a rollercoater ride for Star Trek fans interested in representation. 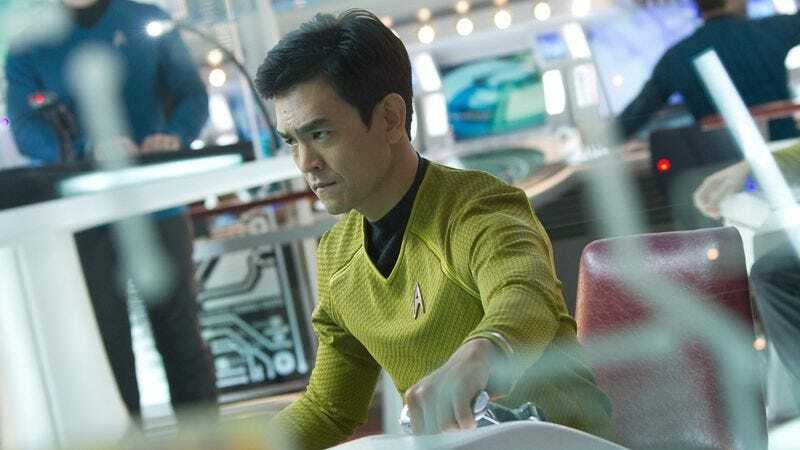 First came the unexpected news that John Cho’s Hikaru Sulu would have a husband in the upcoming Star Trek Beyond. Then came the even more unexpected news that original Sulu actor/LGBT activist George Takei was disappointed in the choice. Then Star Trek Beyond screenwriter Simon Pegg (a.k.a. Scotty) and openly gay actor Zachary Quinto (a.k.a. Spock) gently pushed back against Takei’s critique. Now Takei has taken to his immensely popular Facebook page to clarify his thoughts on the matter. On the specific question of Sulu being gay, when I was first approached with the concept, I responded that I hoped instead that [Star Trek creator] Gene Roddenberry’s original characters and their backgrounds would be respected. How exciting it would be instead if a new hero might be created, whose story could be fleshed out from scratch, rather than reinvented. To me, this would have been even more impactful. While I understand that we are in an alternate timeline with the new Trek movies, for me it seemed less than necessary to tinker with an existing character in order to fulfill Gene’s hope of a truly diverse Trek universe. And while I am flattered that the character of Sulu apparently was selected as an homage to me, this was never about me or what I wanted. It was about being true to Gene’s vision and storytelling. Interestingly, Takei has previously spoken positively about the rebooted films and their alternate timeline (although he was pretty “meh” on the first trailer for Star Trek Beyond). It’s unclear whether he’s also upset about other changes to Roddenberry’s vision, like killing off Kirk’s father and putting Spock and Uhura in a romantic relationship, or if he just feels a particular ownership over Sulu. You can read the full post over on Facebook.